Why miss a post? Follow Restoration Beauty via one of the following and always be updated on all the fun! Let's pretend we're BFF's for a moment. And if you follow and read my posts, I already consider you one anyway! As my BFF I find it my responsibility to inform you of all things I ADORE! Remember when I gabbed about my DIY Lip Scrub, Homemade Eye Makeup Remover and Oatmeal Face Wash? You know, the things I try that actually work and make me sing (okay, so I don't actually sing but you get the picture). Not a sponsored post, by the way. I found this little gem at Target for under $6, and since I already loved the Suave Professional line, I decided to give this oil a try. Moroccan argan oil is a lightweight miracle oil that absorbs instantly and is known to give brilliant shine and long lasting conditioning benefits. This lightweight styling oil, infused with authentic Moroccan argan oil, is specially designed to dramatically revive hair. the ultra-light formula instantly conditions without weighing hair down, smoothing the cuticle for long lasting silky shine. Take note that this isn't 100% pure argan oil but is only infused with it. With that being said, does it deliver? I simply dispense 2 pumps into my hands and work it into my hair before using my hair straightener. I use no other products, except a little hairspray on the very top of my head for those little pesky hairs that want to stick straight up. I even use it when I curl my hair! After I'm finished curling my hair, I run this through my hair and it never weighs down my curls! Just makes them shine all the more! I must add though, that my hair isn't on the danger zone for frizz and is in no way curly. 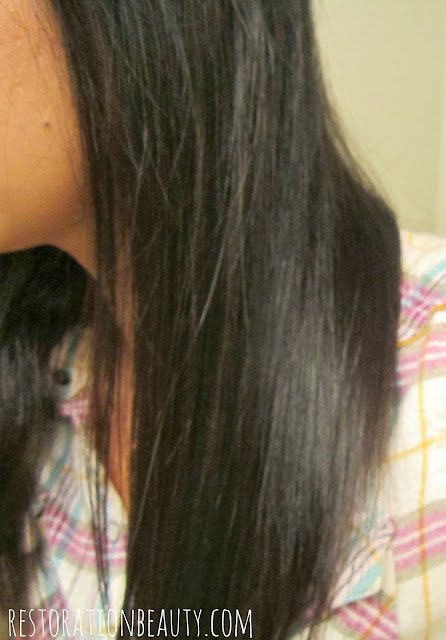 I consider myself to have straight hair. HOWEVER it has become somewhat unruly and mildly wavy in the last couple of years. This is where this oil has tremendously helped my styling process! But I do think it would also benefit curly and extremely unruly hair, too! 1. 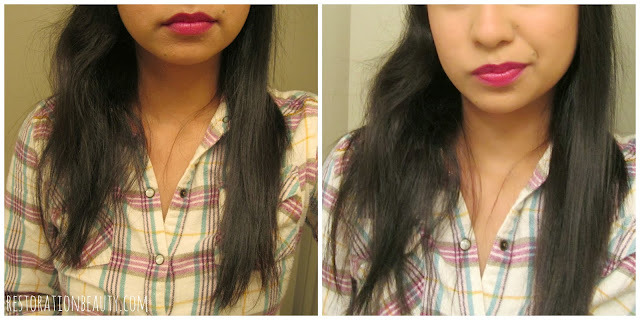 Smooths out any frizz. 2. Adds a significant amount of luster and shine. 3. Isn't super oily. I even smooth out the residue on my hands and it absorbs very nicely without feeling oily. 5. Results last a very long time. If I decide not to wash my hair the next morning, I don't have to re-style or add any more oil (whether straight or curly), I just run my fingers through my hair and I'm good to go. As my BFF, I have to tell you to buy it! 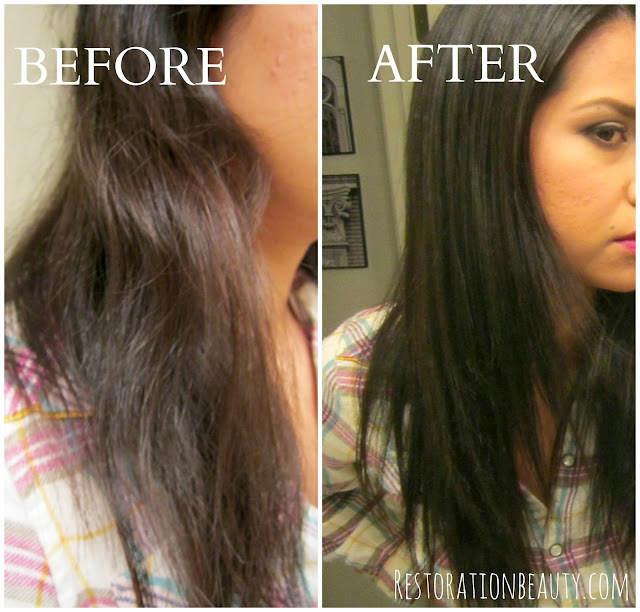 Give it a try, it may just become your secret to smooth and shiny hair, too!! 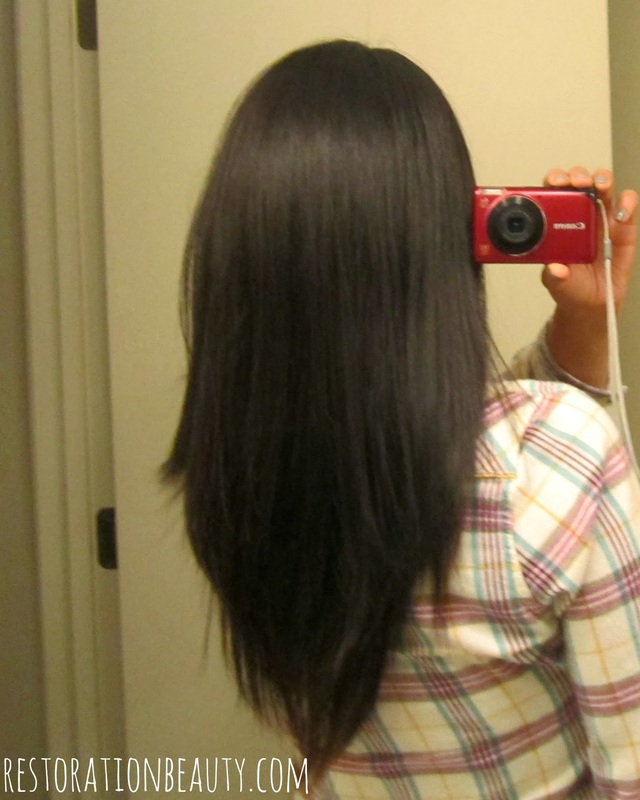 Do you have a miracle hair product you swear by? I would love to hear about it, BFF!! I've never tried oil but I love this line too! Especially the stuff for curly hair. It's better than more expensive salon products that I've tried before! I agree, Lena! Totally better! I've been using Suave Professionals for quite sometime and love mixing up their products, too! Erin, you will love it girl! I haven't use argan oil because I don't know how my curly hair will react. I love when you do beauty posts like this! I'm also a fan of Suave products. I use their shampoo and conditioner as well. I might have to give this a try. I've never been disappointed with Suave, so I'm sure I'd like this too. :) Thanks for sharing! P.S. your hair is beautiful!! I'm totally going to the store and buying this, I want my hair shiny! Your hair is beautiful! You will LOVE the oil! Wow this looks fantastic! I may have to try it out. Thanks for sharing on the weekend re-Treat link party! Thank you, Britni! Get it..you will love it, girl!